Tilted Horizons: Gimme a brake! 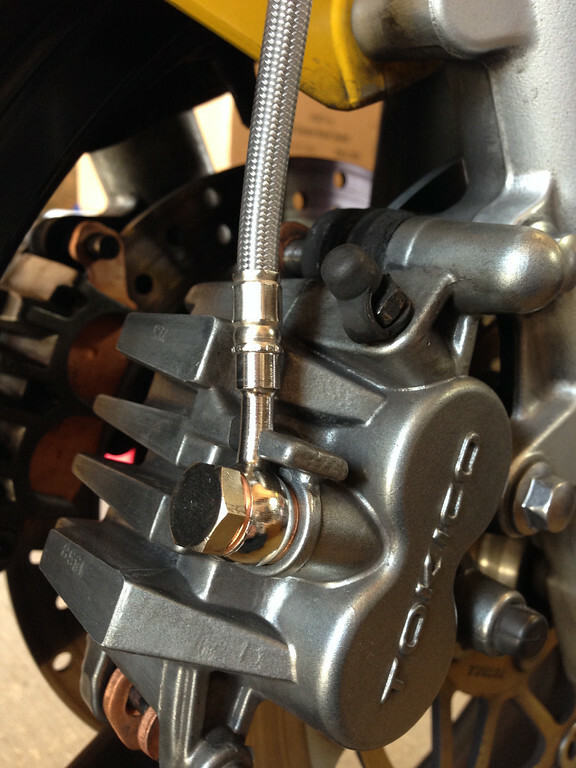 After ~55K+ miles, my motorcycle's braking power was becoming a bit Flintsonesque, so last week in addition to receiving new sintered pads, the front calipers were rebuilt with fresh seals, pistons and slider pins; the original rubber brake hoses were tossed in favor of Galfer braided stainless steel lines. The pads are yet barely bedded-in, but that "throwing out the anchor" feeling has returned, as has more precise braking feel. Job done! Too bad they won't stay this clean.